I was dreading the press. I knew they would be at court. My plan was wear casual clothing instead of wearing a suit. 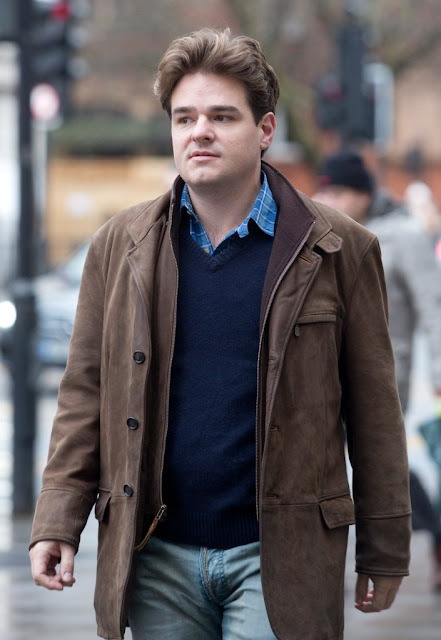 If I wore jeans and a casual jacket the press would probably not think I was a defendant. It might buy me 10 seconds by which time I'd already be in the court building. I arrived at court and tried to sneakily walk into the entrance without them noticing, but they noticed all right. In fact it was very awkward. There was a large queue to get into the building. I had to queue up and wait outside whilst they snapped away with their cameras over over 5 minutes. There even some guy taking a video of me. Once in the court building I would have been safe because you're not allowed to take photos in the court. But outside it was fair game. Today was just a preliminary hearing to answer the charge of Harassment. In a few weeks a trial date would be set. Today Economou stood in the dock wearing stonewashed jeans, a blue check shirt and a navy jumper and spoke only to confirm his name, age and date of birth and to plead not guilty to one charge of harassing Mr de Freitas between November 5 2014 and October 2015. He is alleged to have sent an email directly to Mr de Freitas - which his lawyer today claimed set out the evidence Mr Economou was intending to rely on in court - and a series of emails to him via his solicitor Harriet Wistrich. He also uploaded voice recordings to YouTube, Vimeo and Liveleaks and maintained a website about the allegations against him. The website is still online but the domain name has been changed. As well as denying the charges, Economou claims they do not amount to criminal conduct and are defective as they are not particular enough. His lawyer Gideon Cammerman said: 'The later selections of the alleged conduct do not amount to criminal conduct. 'The charges are insufficiently particular as of the criminal procedure rules. 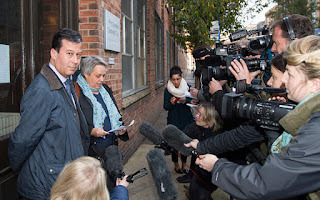 Economou was bailed on conditions that he does not to contact David de Freitas or Ms Wistrich, except in the presence or through solicitors, and not to publish anything about the case, save for in relation to the libel proceedings, until his next appearance at court. In court, he and his lawyer Gideon Cammerman challenged the conditions by claiming it would prevent him from his right to rebut things said about him in the media. Speaking directly to District Judge Elizabeth Roscoe when asked if he understood the bail conditions, Economou said: 'No, I don't understand. 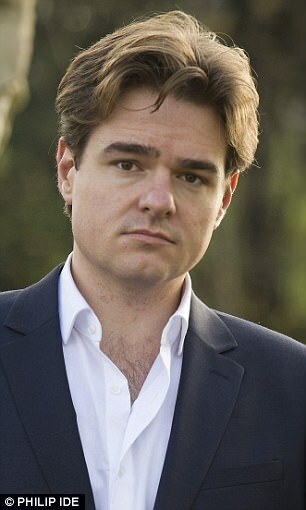 'I have a website that says David de Freitas is going to trial for libel. 'It is very important that the website stays up as it says that I am suing him for libel. 'It explains very clearly for the people, my friends, acquaintances, new friends, that google me every day. District Judge Roscoe said the bail conditions would not force him to take down anything that was already in the public domain. Mr Cammerman said that imposing a non-contact condition would not be fair as Mr de Freitas's lawyers had themselves requested face-to-face meetings with Mr Economou. But Judge Roscoe said that the condition would not prevent him from attending the required legal meetings in the presence of solicitors. The court is looking for a date to have a one hour preliminary hearing to decide whether the charges need to be further particularised and whether some parts do not amount to criminal conduct. A trial date will then be set. The libel trial is set to run for ten days from 13 June 2016.